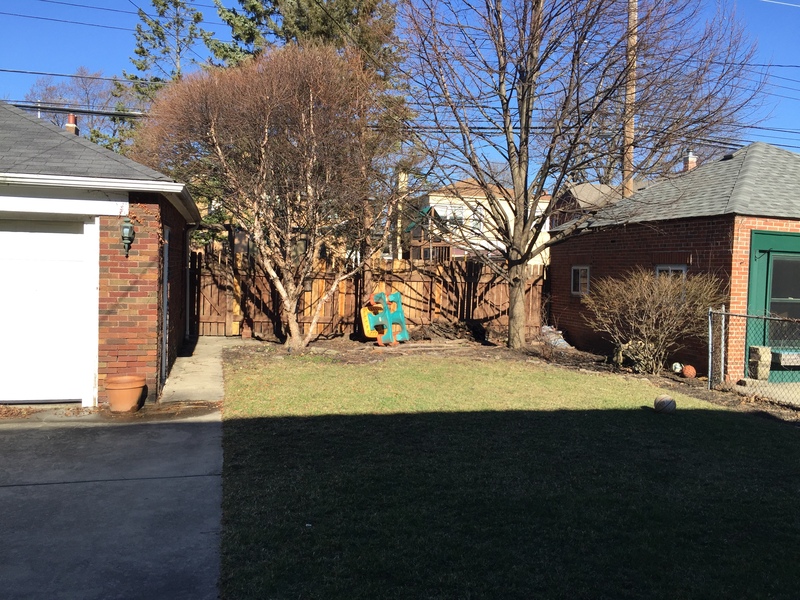 This Northwest Chicago homeowner was looking for a fresh, new way to use their backyard beyond a patch of grass for kids to play soccer on. The existing trees formed very uneven grounds and the roots along the surface provided many opportunities for tripping. 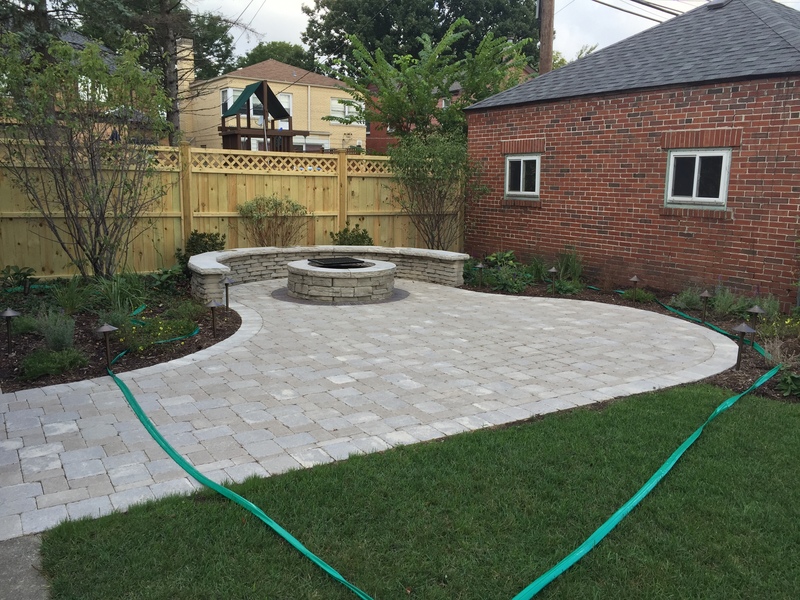 The landscape now features a large Brussel Block patio, curved Rivercrest seating wall, and a matching firepit with space for an added bench or table. Burgundy Copthorne banding surrounds the firepit, highlighting the structure of the stone. Serviceberry and Redbuds anchor in the planting beds where large, overgrown trees once were. The family decided to extend their enjoyment of the new landscape by installation of landscape lighting, which creates a nice focal point on the silver, multi-stem branches of the Serviceberry. Design by Brian Dreher.